Estate Administration is commonly referred to as the probate process. 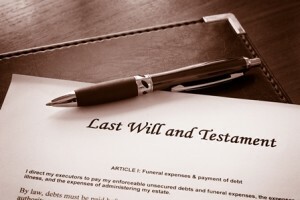 It begins with the appointed Executor submitting your loved one’s Will to the Surrogate in New Jersey or the Register of Wills in Pennsylvania. Alternatively, if your loved one passed without a Will, the closest surviving relative or relatives may apply for administration. The Estate Administration process follows the Will or state law in order to pass the decedent’s possessions to the beneficiaries of the Estate. An Executor is responsible for distributing the assets of the estate in accordance with the Will. Initially an Executor must gather the Estate’s assets and pay creditors. An executor may have to liquidate assets, sell real property, and manage assets for the beneficiaries of the estate. An Executor may have to file multiple tax returns including New Jersey estate tax, New Jersey inheritance tax returns and both Federal and State income tax returns. An executor’s duties are completed once all creditors have been paid, including payment of all taxes, and the estate’s property is fully distributed to all beneficiaries. A formal accounting may be required if demanded by a beneficiary, otherwise an informal accounting will be sufficient. There are steps that an Executor must take in the State of New Jersey in order to close out an estate and to protect himself/herself from potential liability.